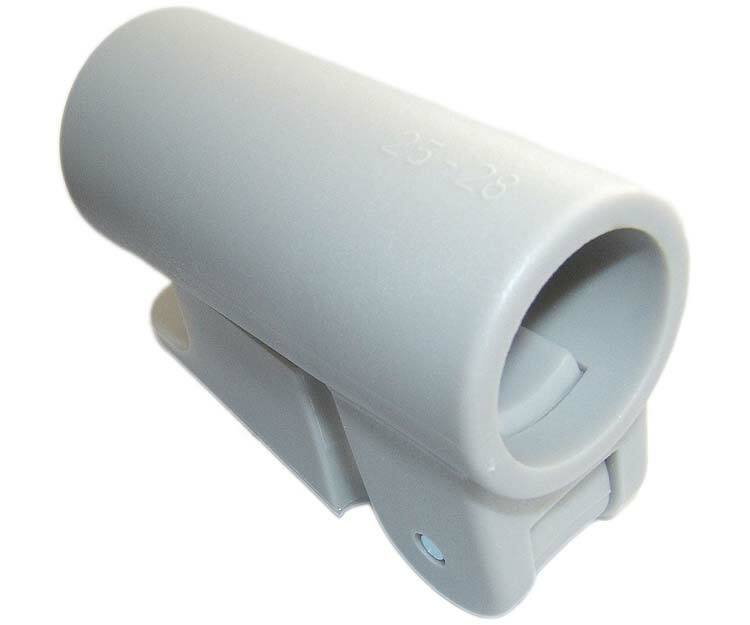 This pole clamp is part of Dorema's EasyGrip System which they introduced around 2013. 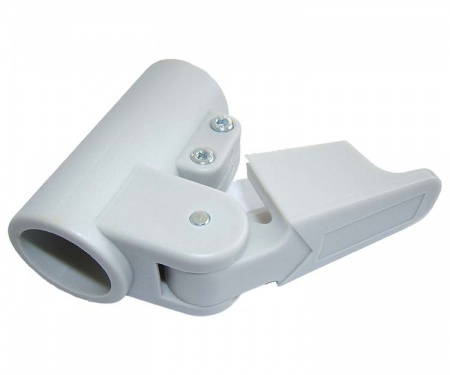 It is suitable for both steel or aluminium frames. The EasyGrip frame system makes erecting your awning simple and effortless. The process involves adjusting the poles, pressing the clamp and as if by magic your frame is tensioned with ease. The Dorema Easygrip 28mm Clamp can be used on non Dorema pole frames, but results cannot be guaranteed. 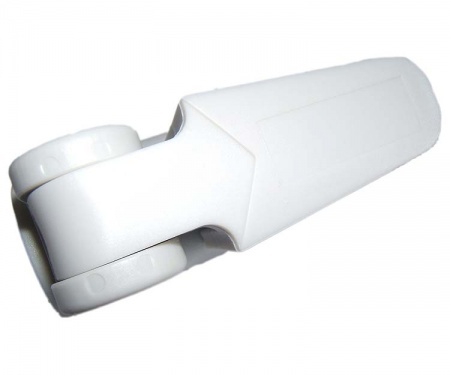 The 28mm Dorema EasyGrip Clamp enables existing Dorema owners to upgrade to this newer, more advanced system - but note that it is not suitable for those with the Fibre Tech fibreglass frames due to technical compatibility problems with the structure of fibreglass.